Recently my Windows 10 Insider build’s power button via the Start Menu stopped working. 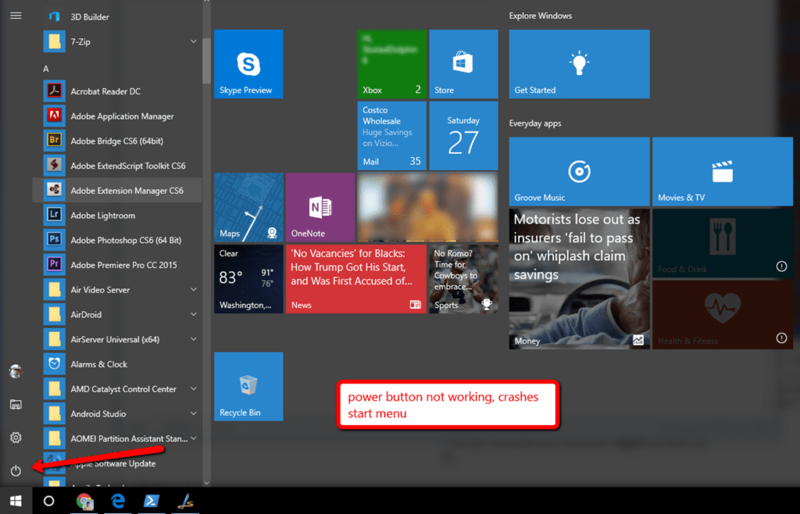 When clicking on the power button nothing happens for a second and then it will crash the start menu. Although it’s not a deal breaker, it’s annoying when a routine action stopped working, and you are forced with workarounds. 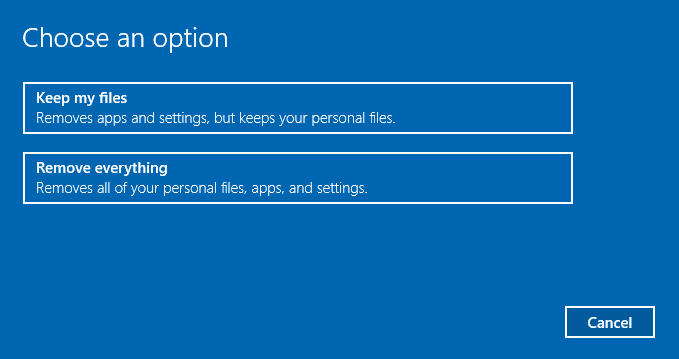 Running Windows 10 Insider Preview has risks, such as things that will stop working for no reason. Possibly, there might not have a quick fix for quite some time. 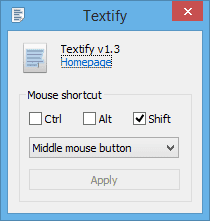 I’ve tried the various different methods to find a fix, but nothing worked. 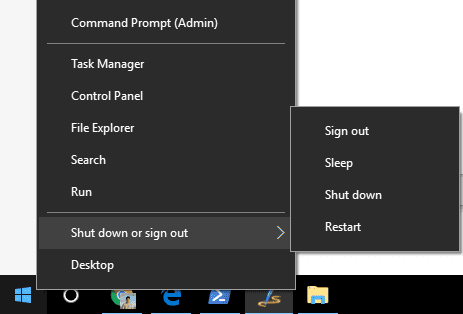 So here is a workaround to access all your “Sign out,” “Sleep,” “Shut down” and “Restart” menus. Press Win + X will launch a hidden menu that allows you to access the same function as via the Power Button. The Win + X isn’t new, we’ve covered it back in Windows 7. This has worked for me. The real fix that solved this annoying power button that crashes start menu is fixed by upgrading to a newer insider build. So if you are experiencing the same issue and have the patient to wait for a couple of weeks, then it might address this problem. 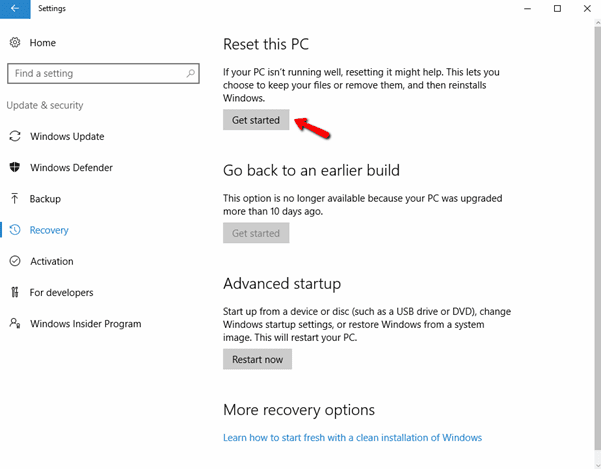 This will trigger Windows 10 to be reinstalled again, should fix the power button without you wait for a newer insider preview build release. 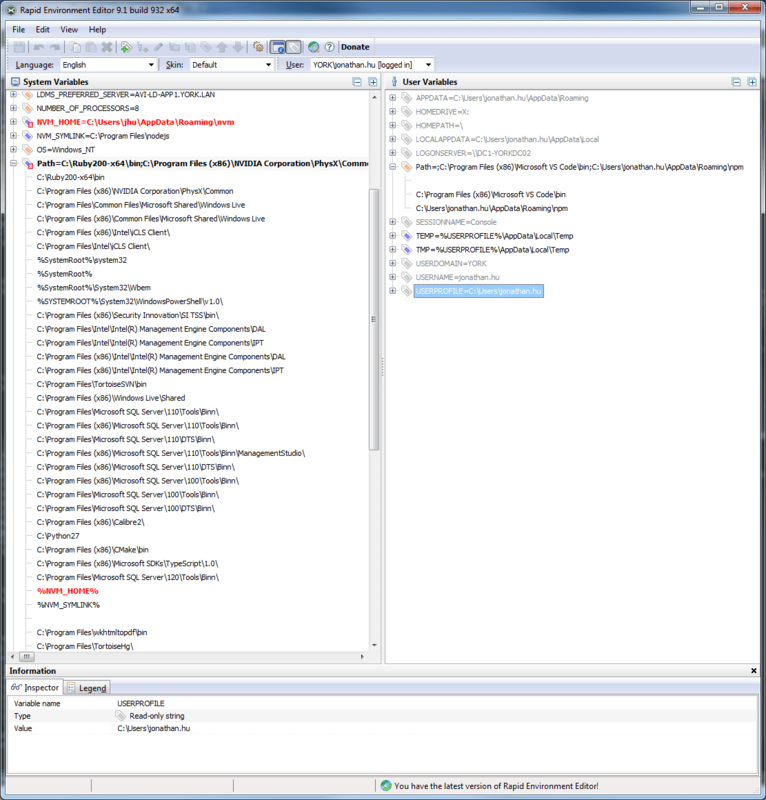 I used “driver talent” to update one of the intel driver, power button works now.